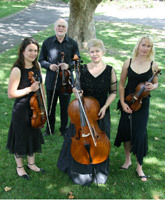 With inspiring and breathtaking performances, the Majoré String Quartet approaches both the classical and contemporary genre with enthusiasm and great technical skill. 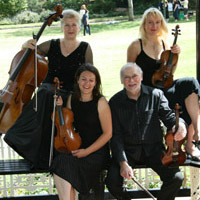 Formed in 2008, the Majoré String Quartet is made up of performing professionals with extensive national and international experience. This well presented ensemble of two violins, one cello and one viola features insightful performances along with dynamic artistry and technical mastery. Dedicated to the performance of classical repertoire, the Majoré String Quartet also has a strong commitment to the performance of any particular music or style preference of the client. 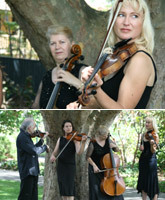 A Trio or Duo combination is also available as well as Cello or Violin solo. Please use the form below to send your requirements and Jarina or one of her representatives will get back to you as soon as possible.